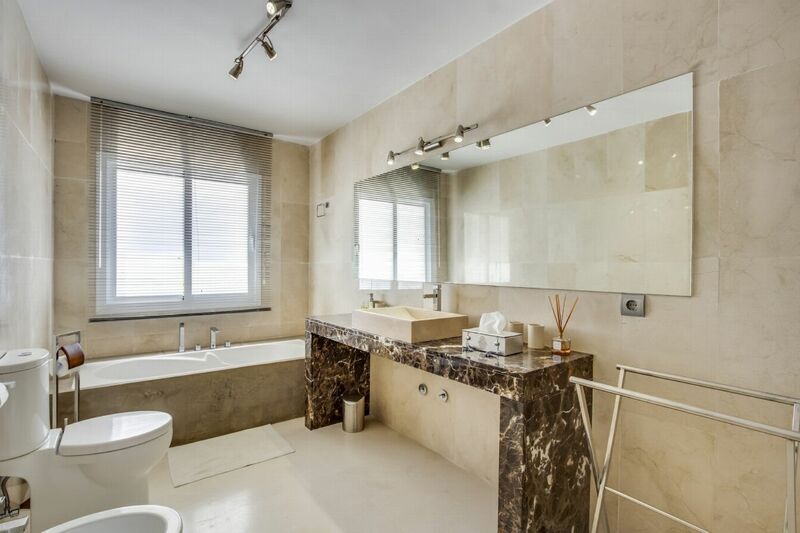 Cleaning 6 hours per day. 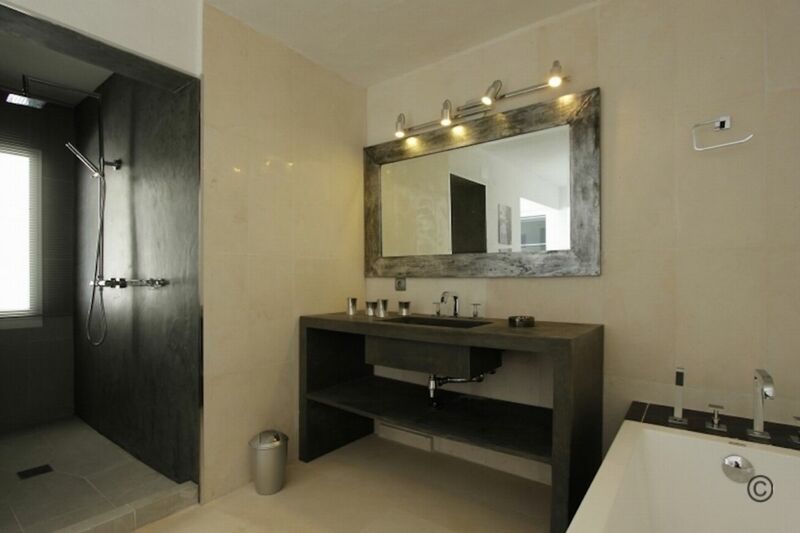 Welcome Gifts and Bathroom Products. 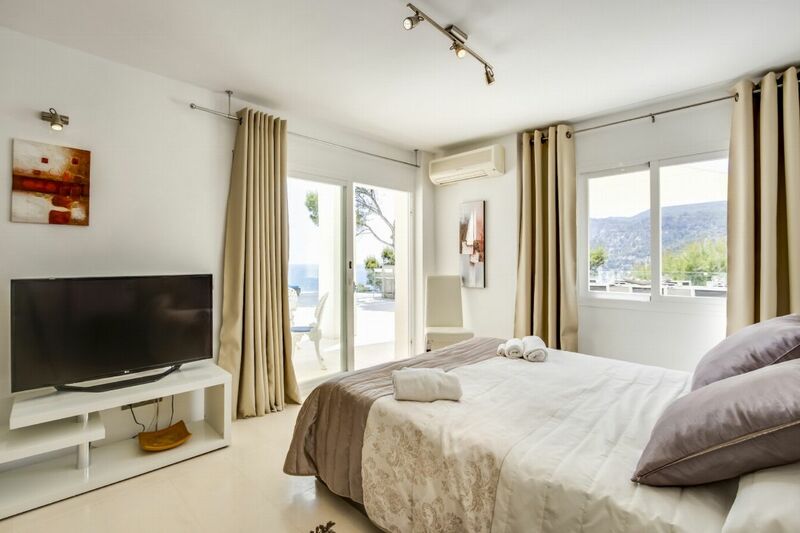 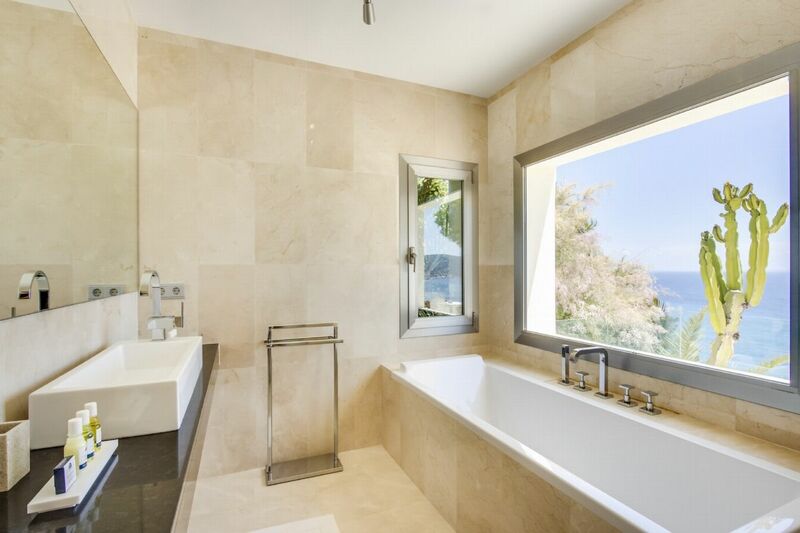 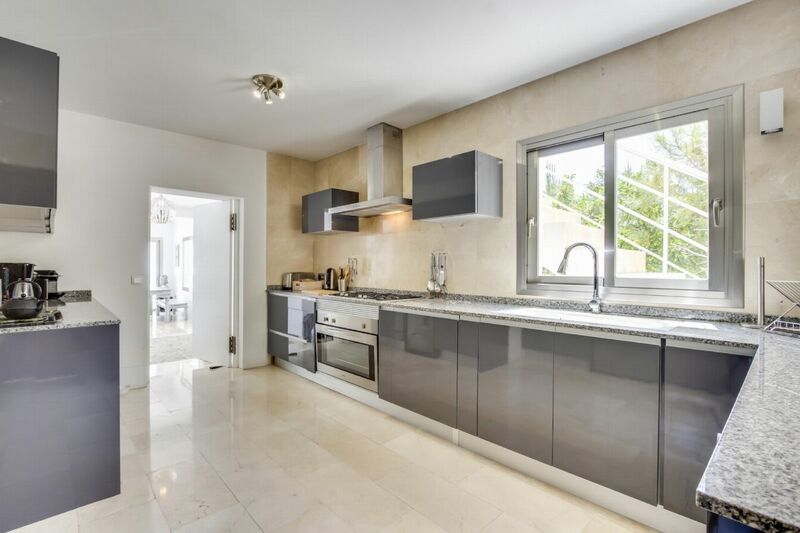 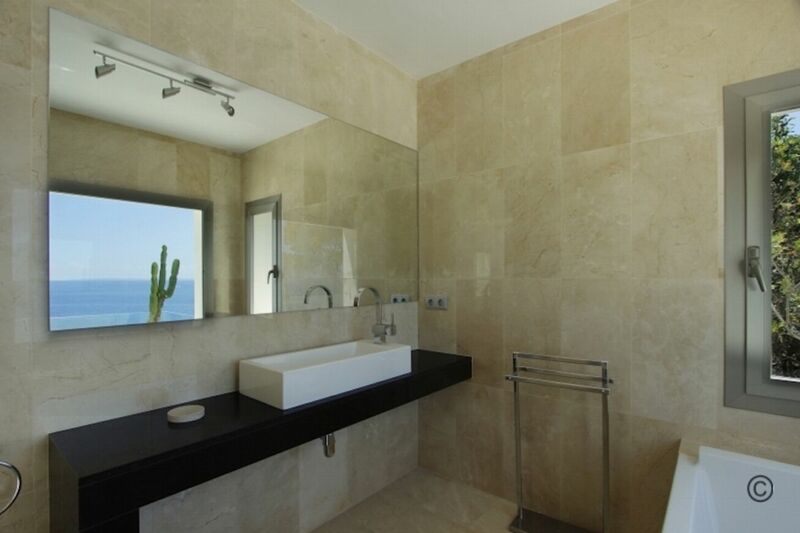 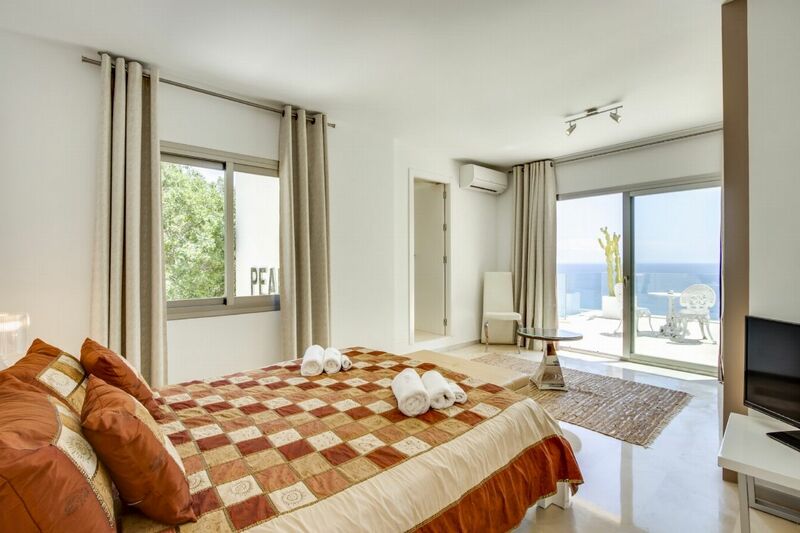 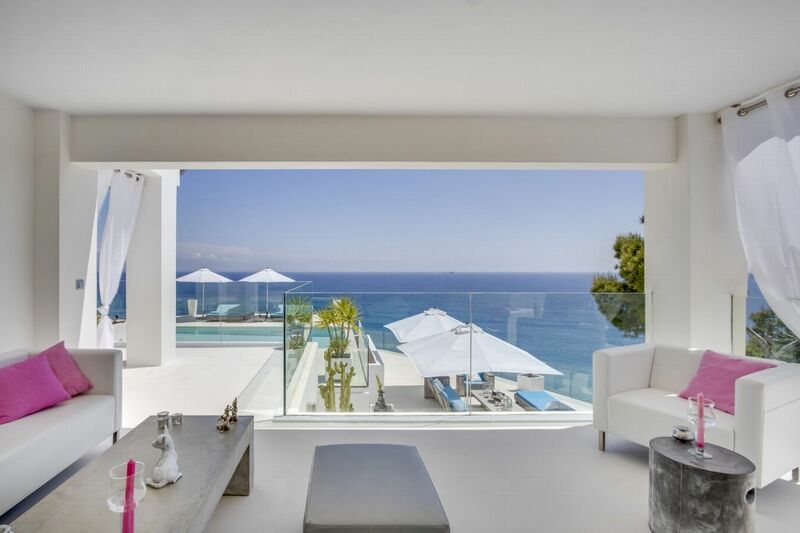 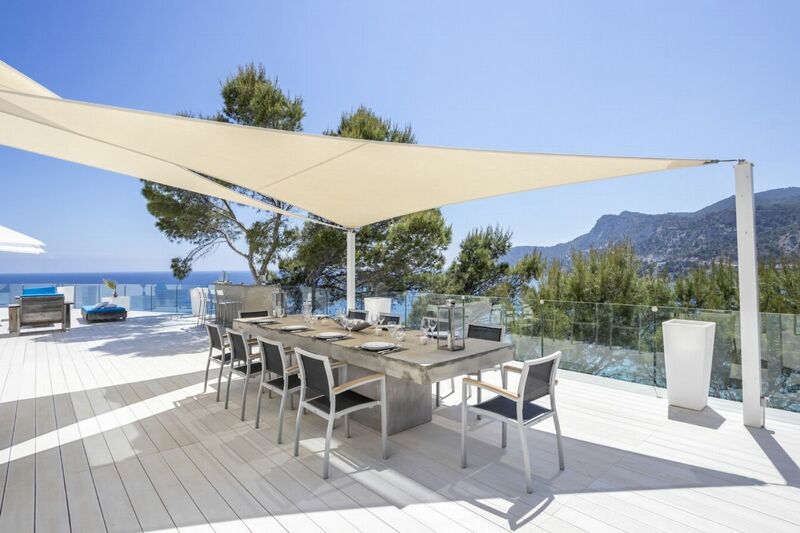 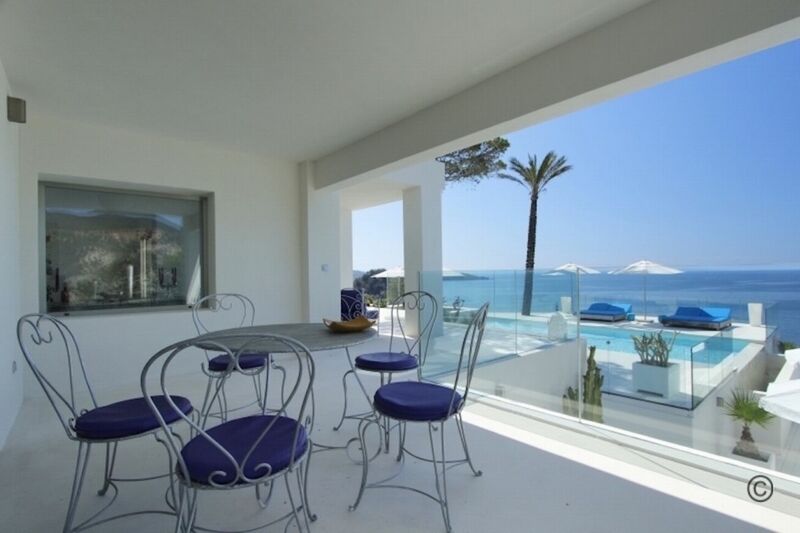 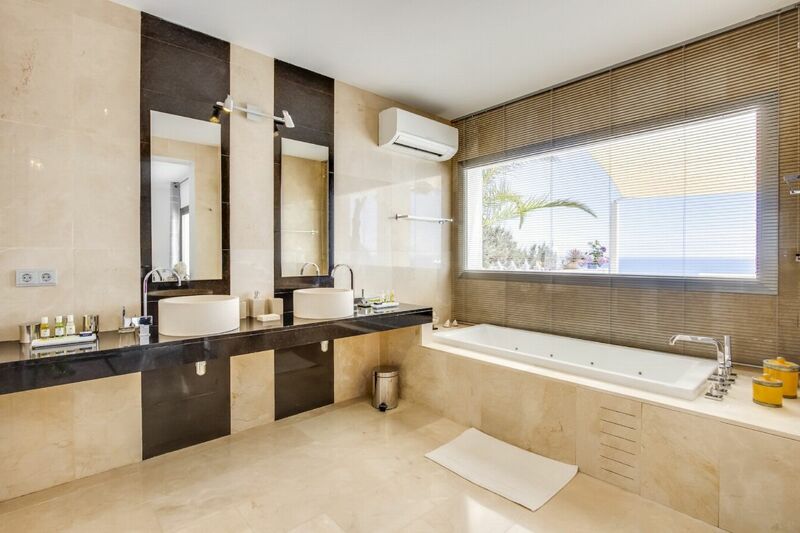 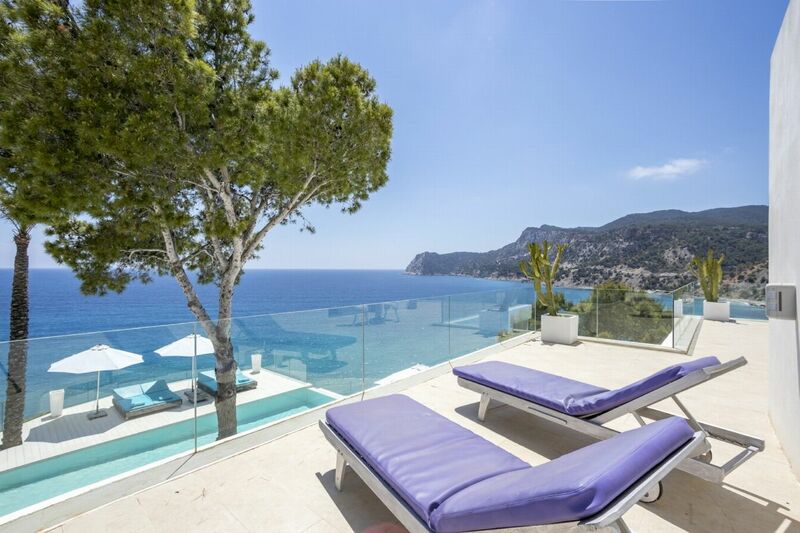 This stunning, beautifully renovated villa located in Es Cubells is considered to be one of the island's top villas, it has amazing sea views and direct access to the sea. 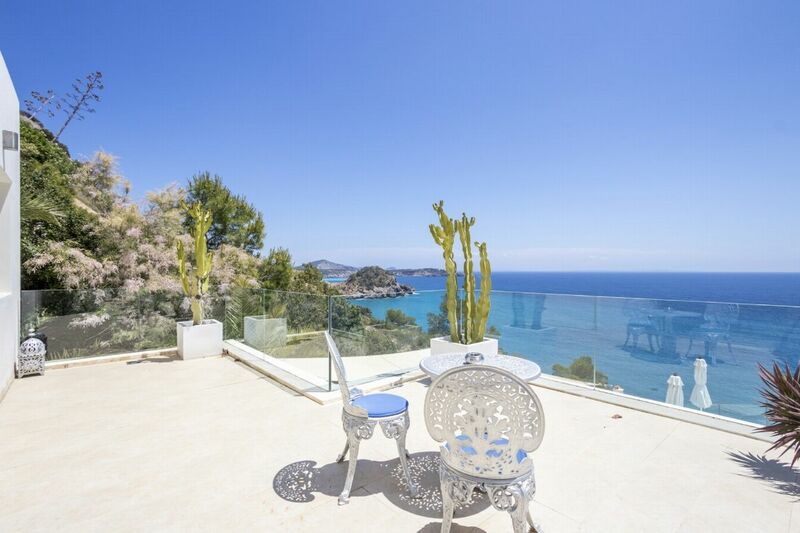 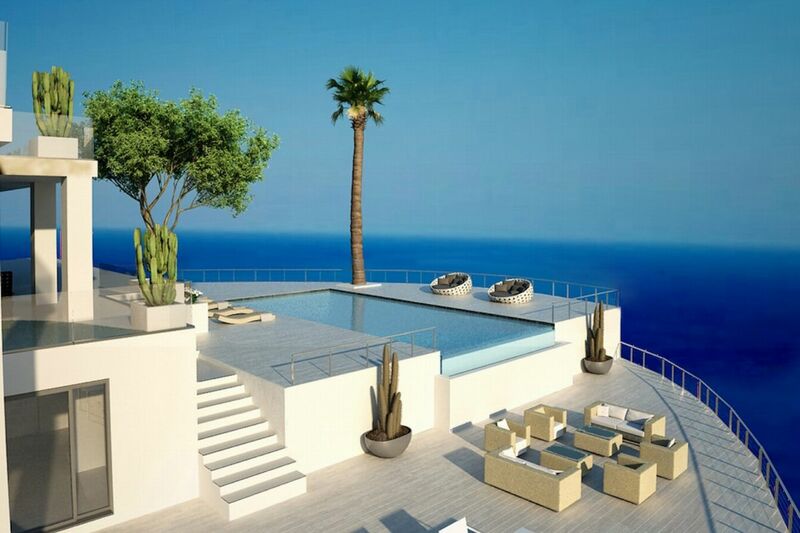 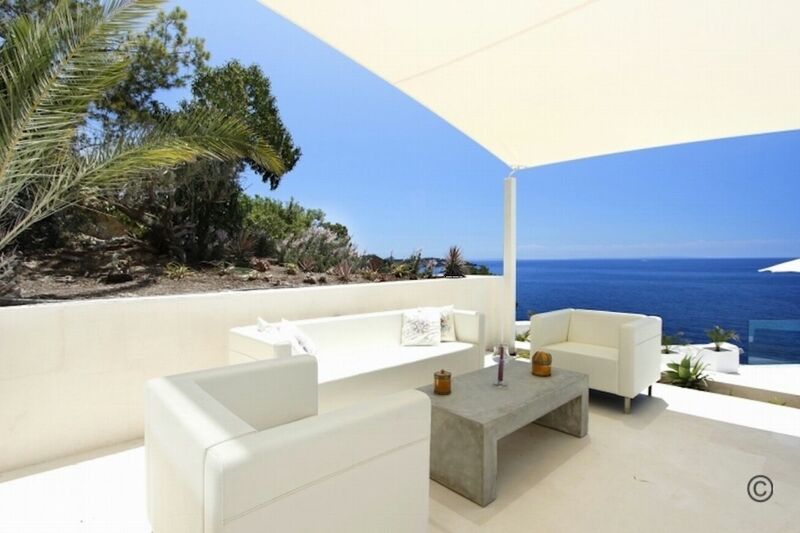 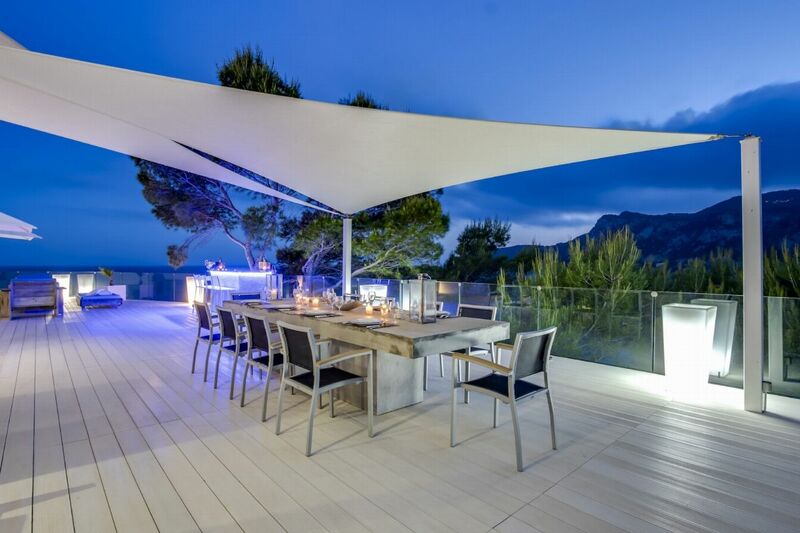 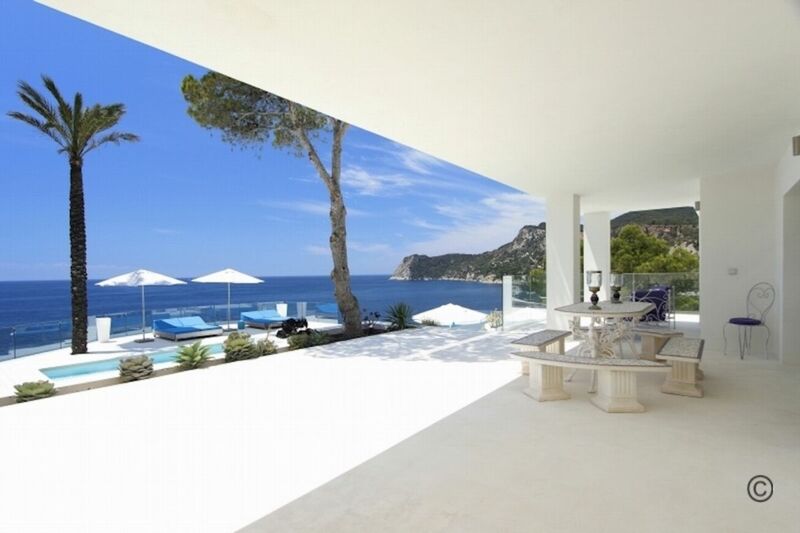 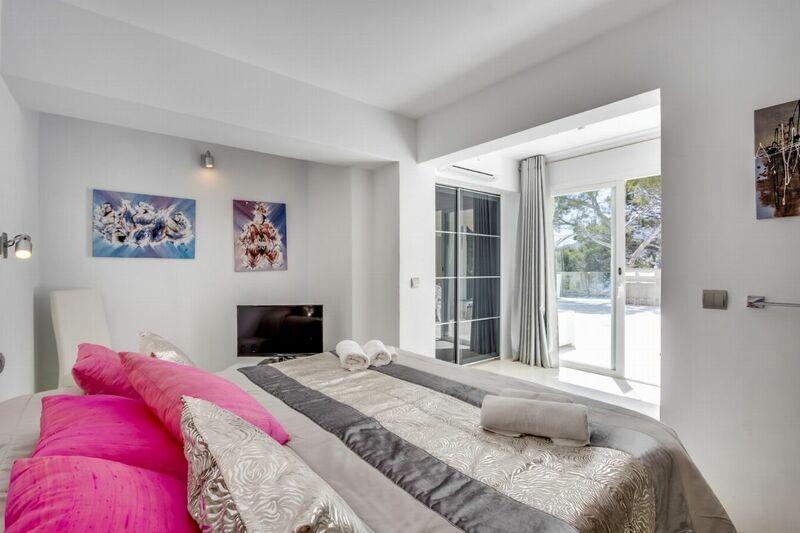 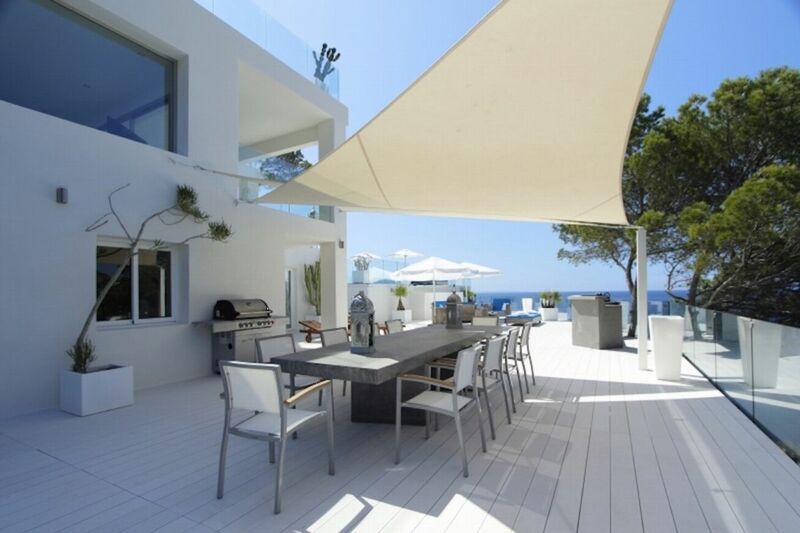 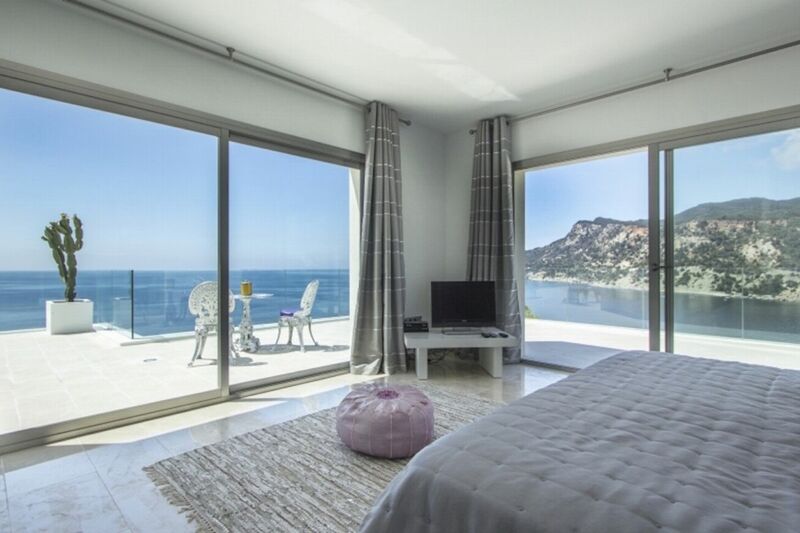 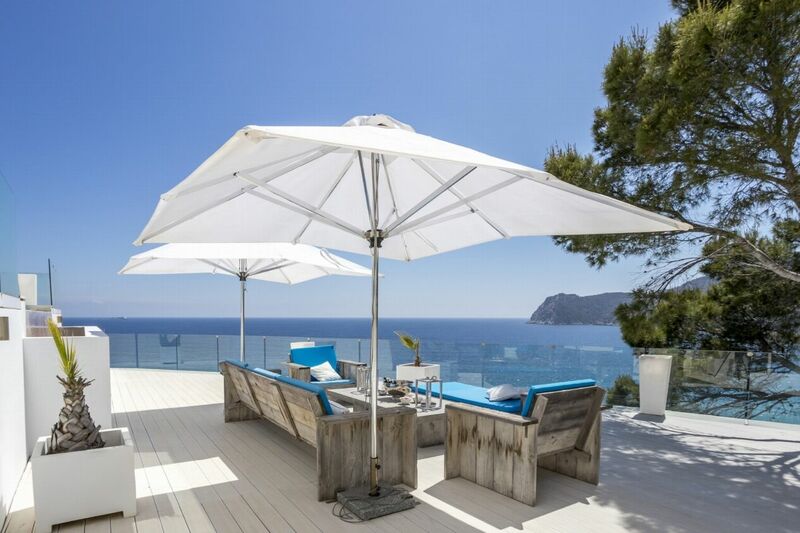 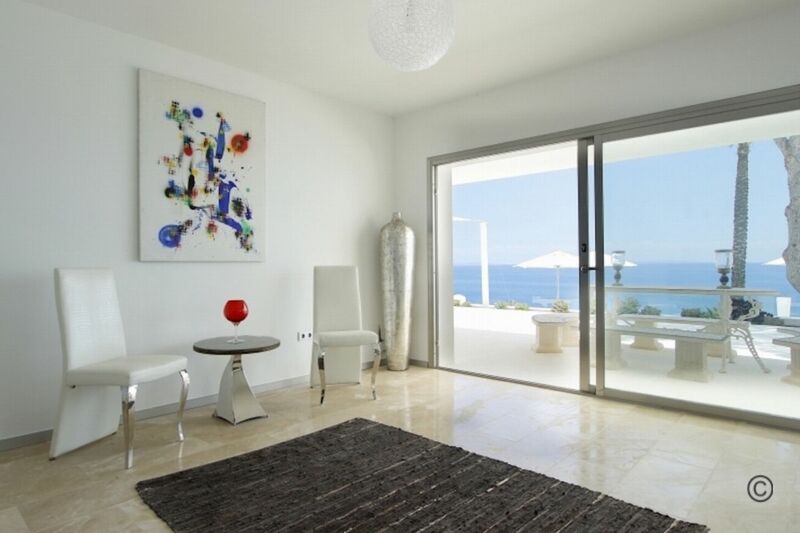 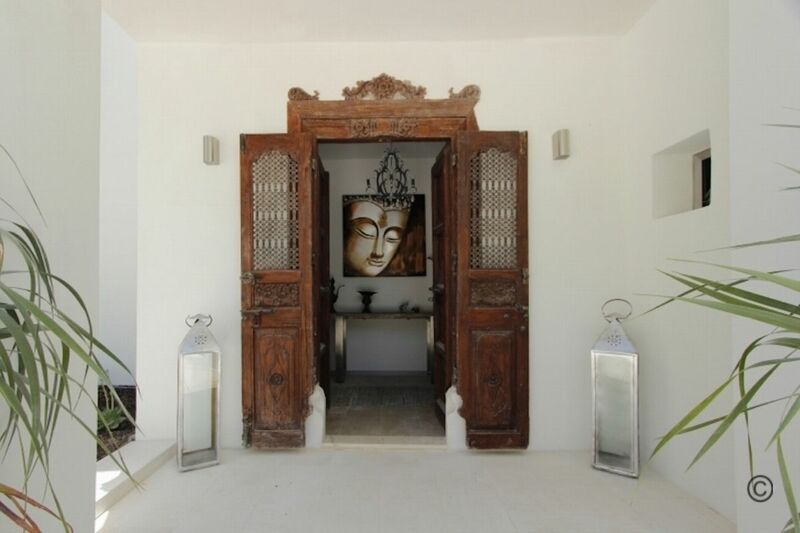 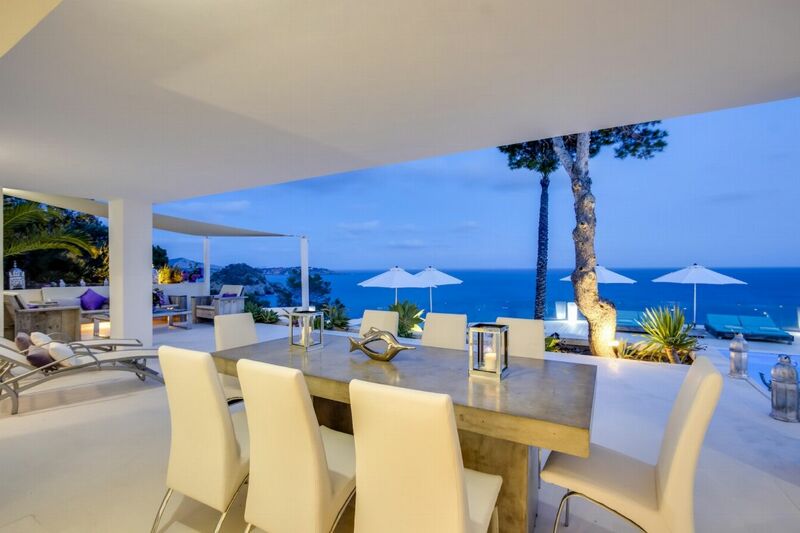 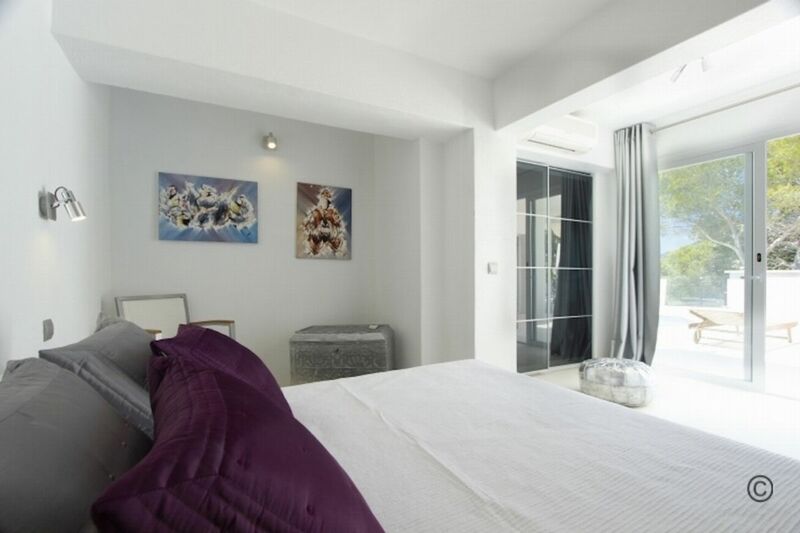 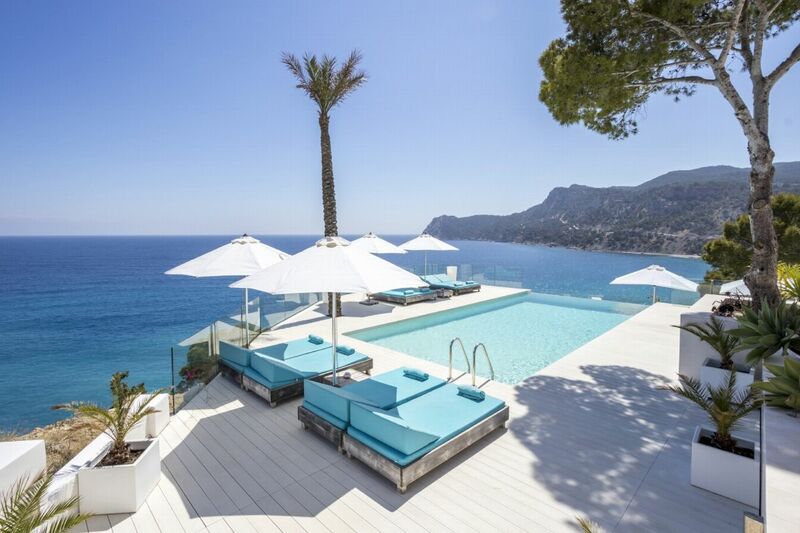 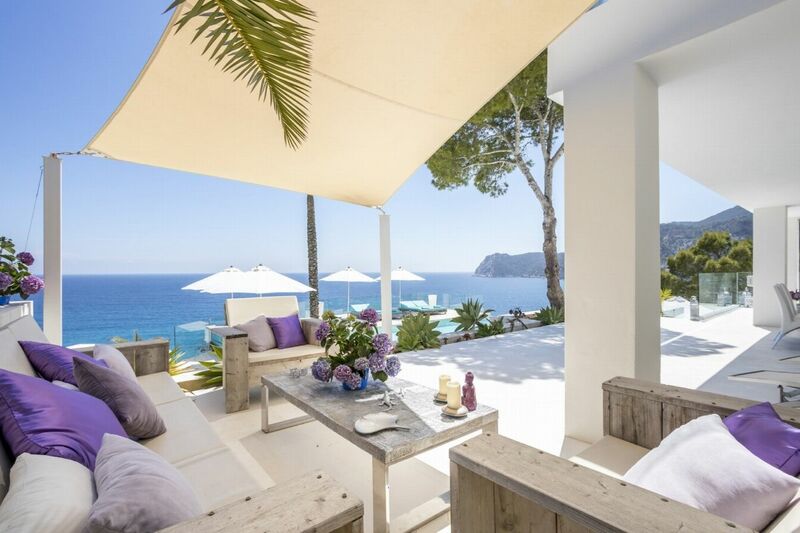 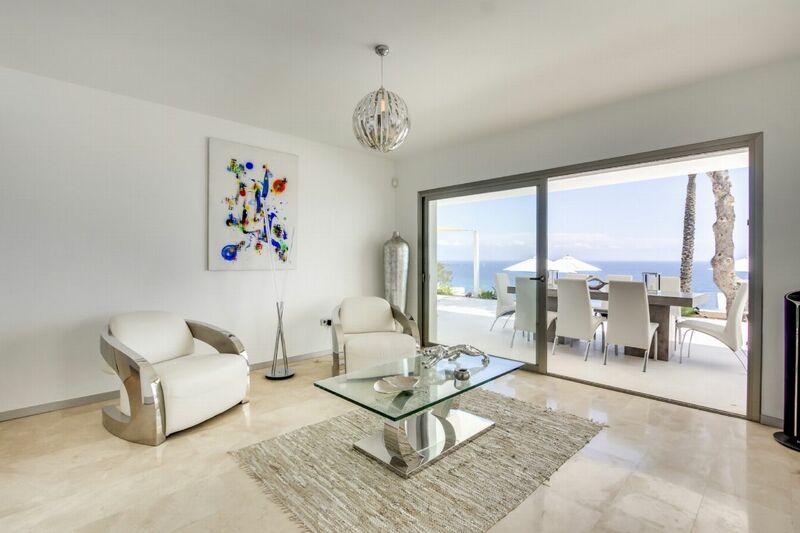 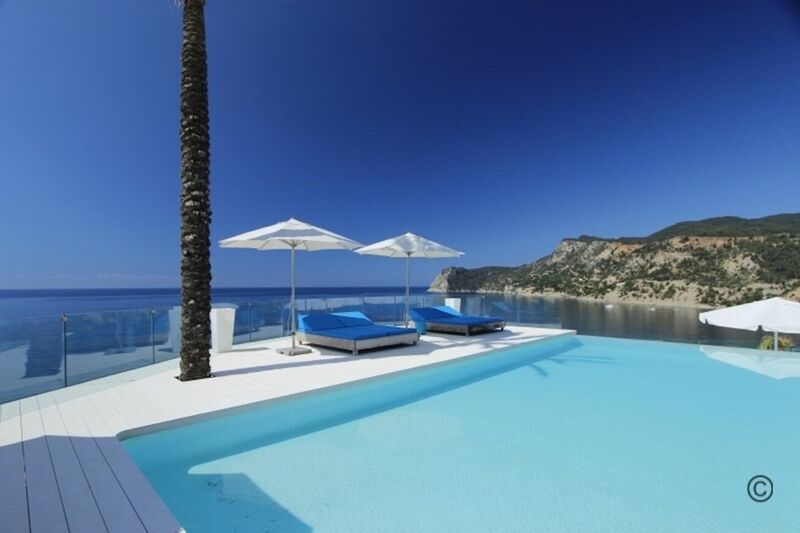 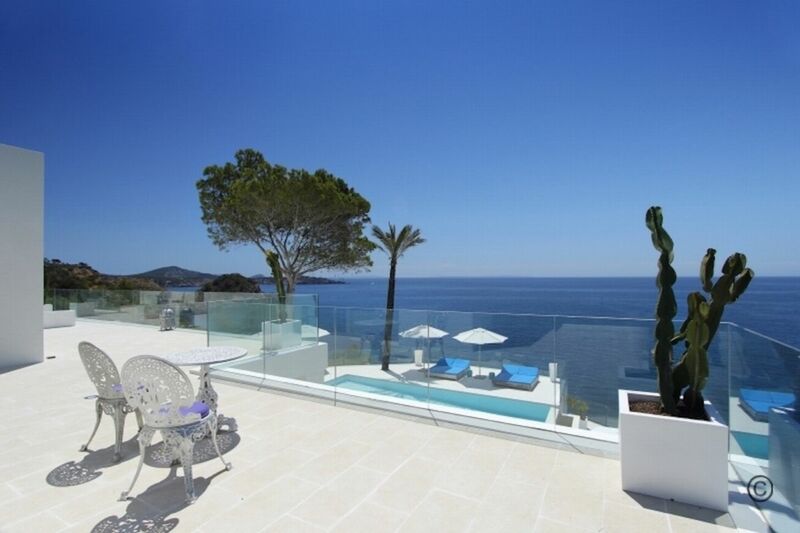 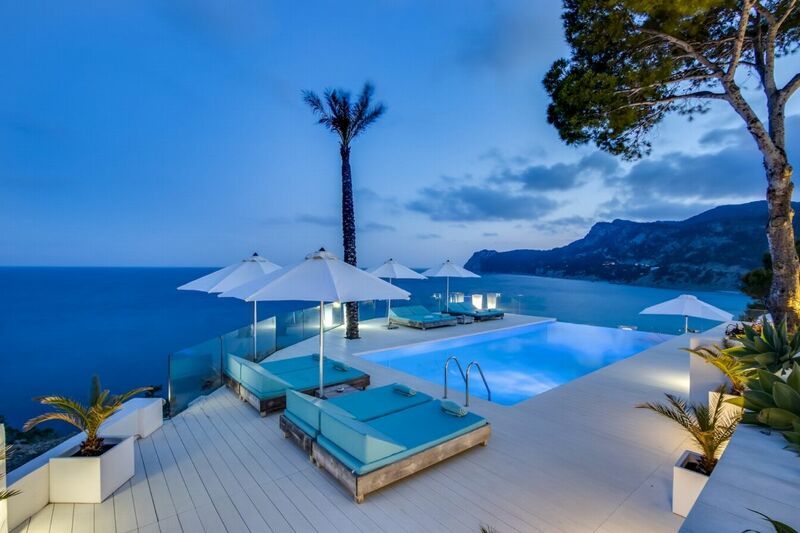 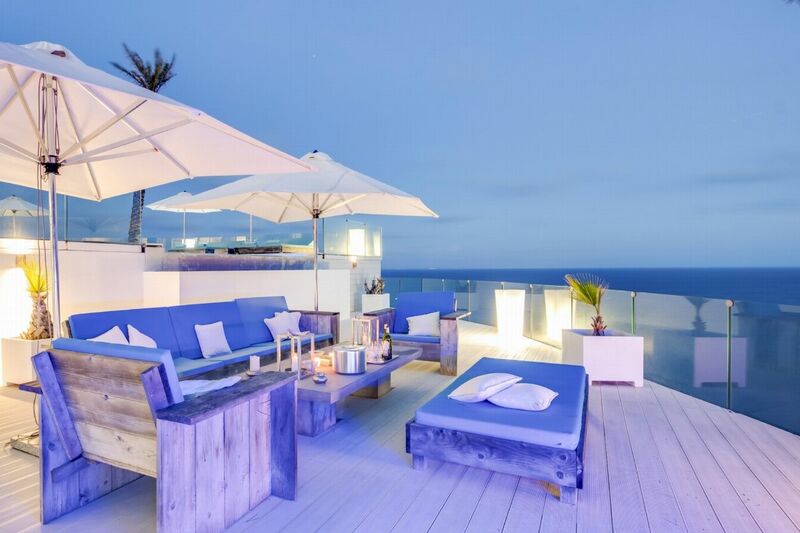 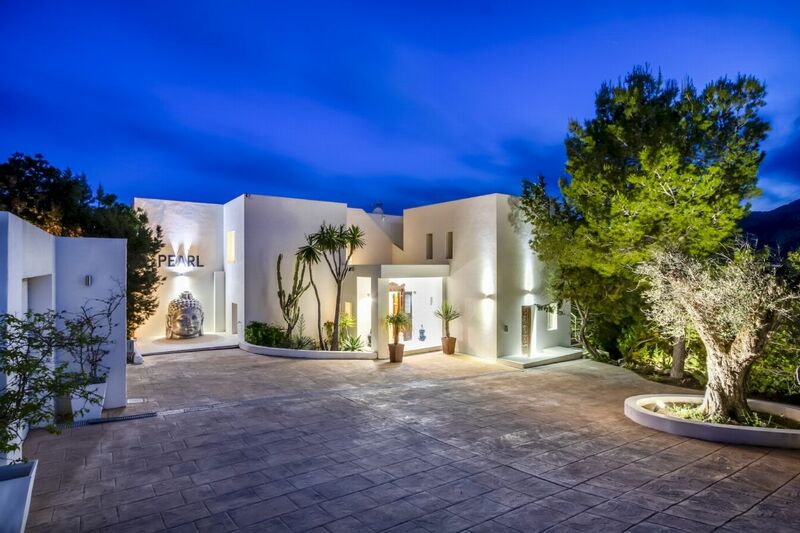 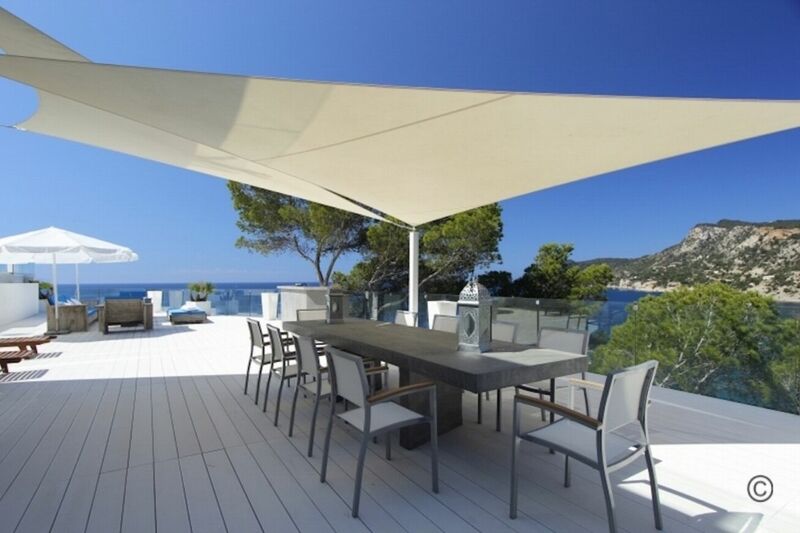 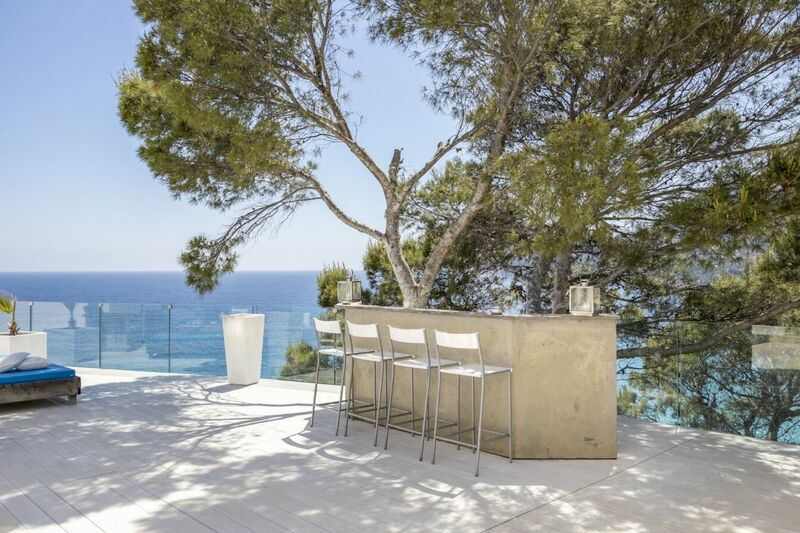 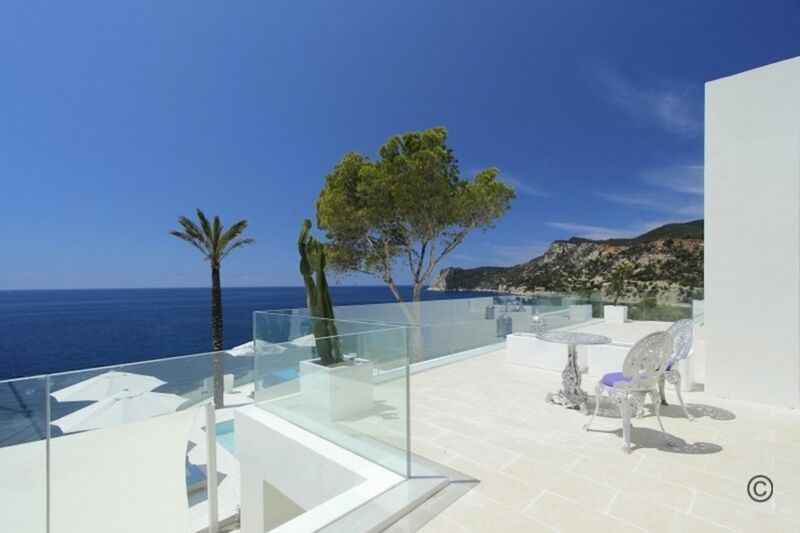 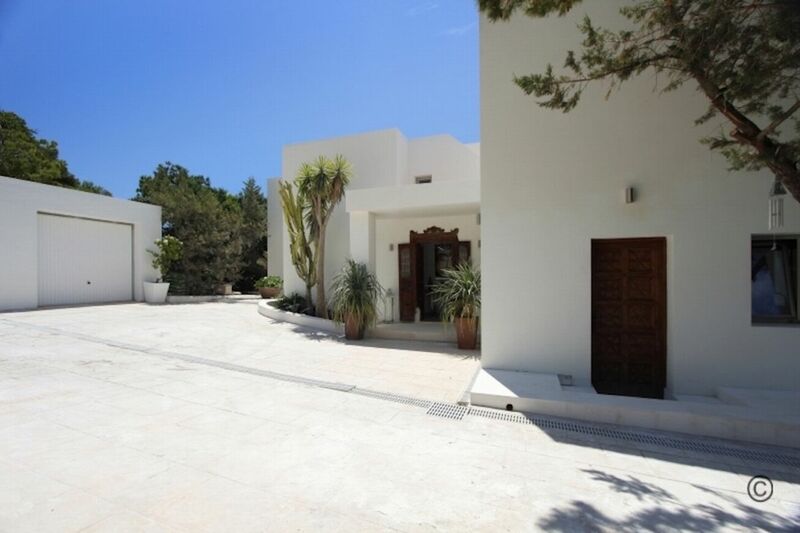 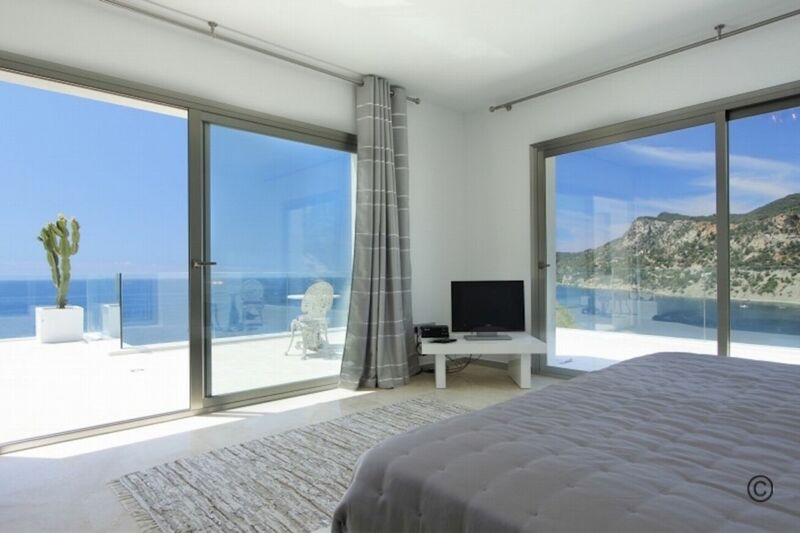 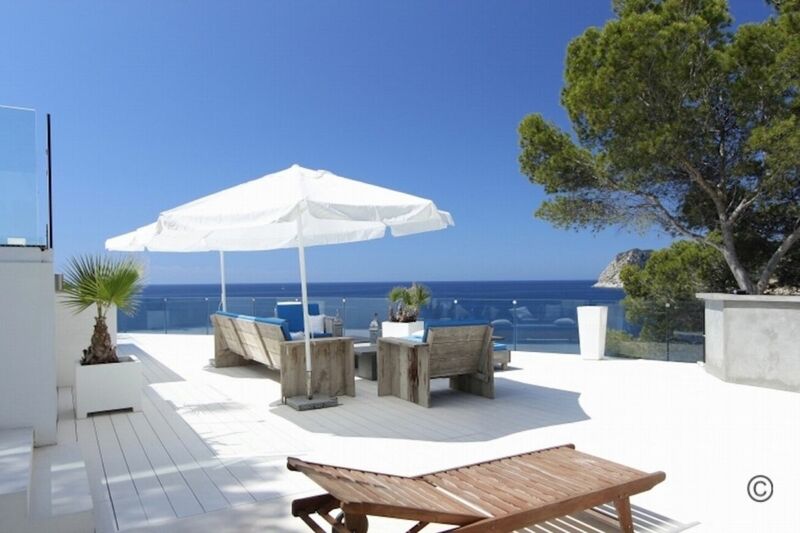 Situated a few minutes from Es Cubells village, 10 minutes from San JosÃ© and 25 minutes from Ibiza Town, this spectacular property is distributed over several levels and boasts amazing sea views from all the bedrooms. 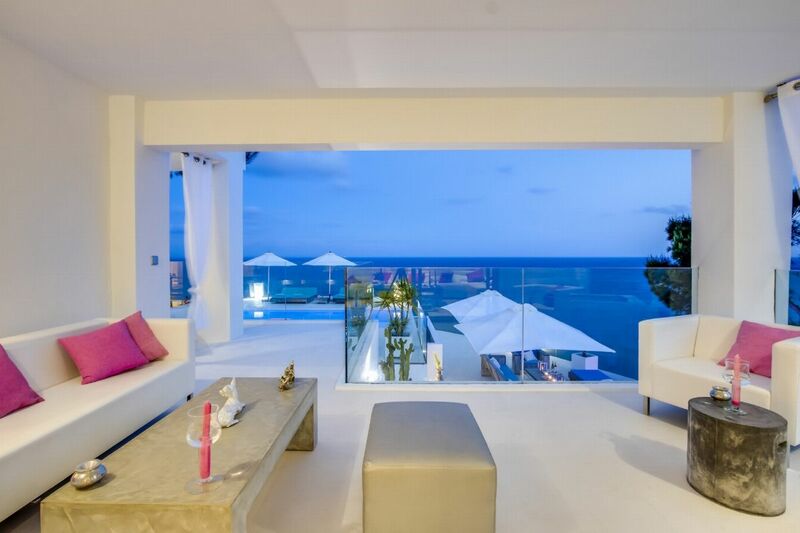 OUTDOOR AREAS It has several large terraces, also with breathtaking views. 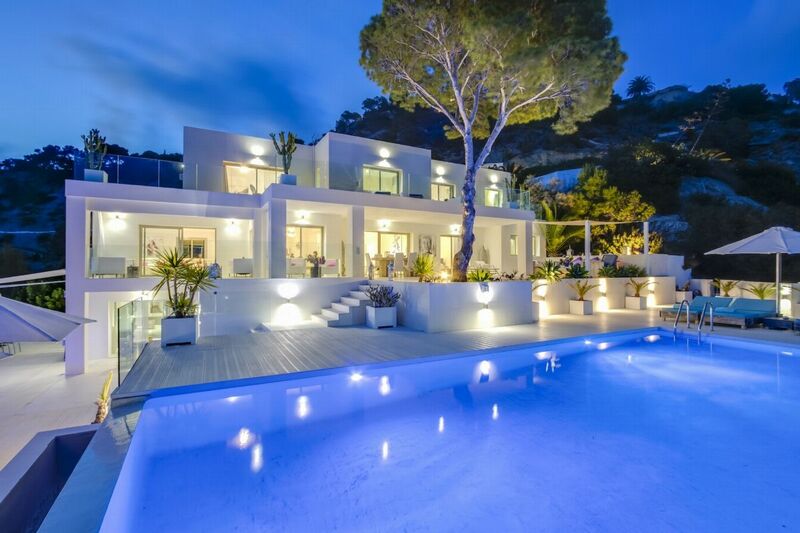 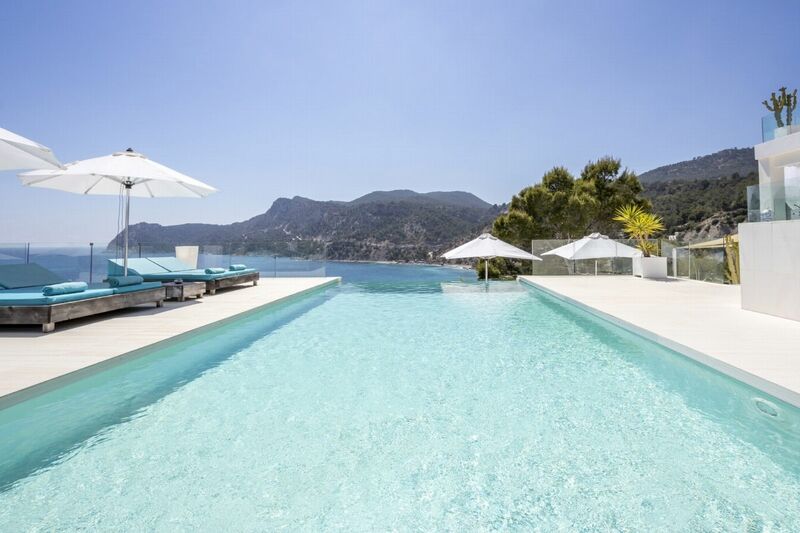 Due to its excellent location, this luxury villa is extremely private, it also features a fantastic outdoor area with an infinity pool surrounded by single and double sun loungers, parking for 4 cars, several terraces and chill out areas and outdoor dining areas. 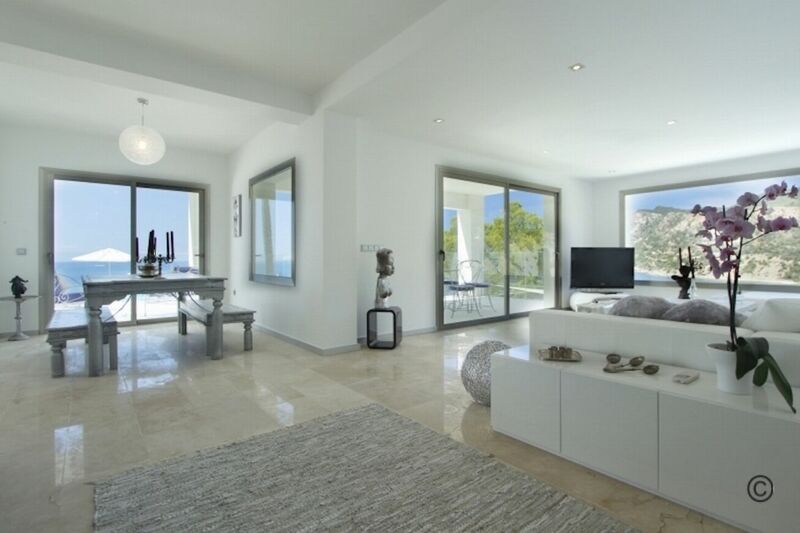 LIVING AREAS The living areas boast several lounge and dining areas and a very modern fully equipped kitchen. 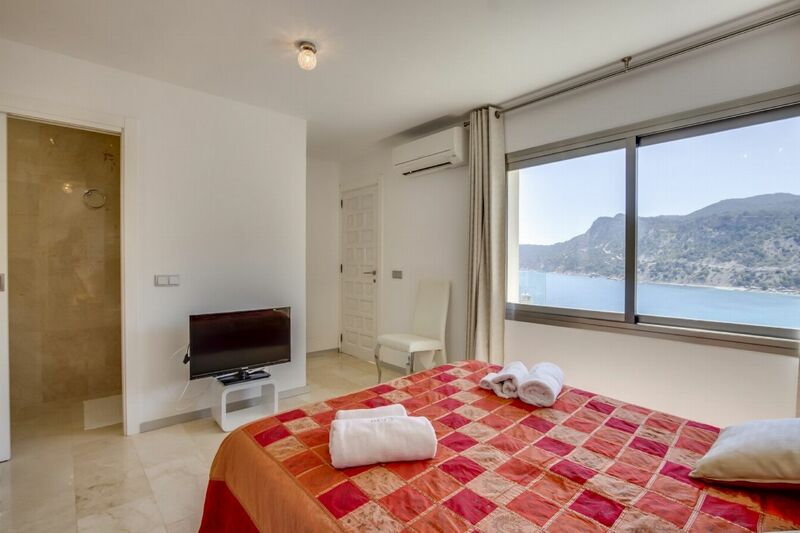 All rooms have been furnished with no expense spared and elegantly decorated. 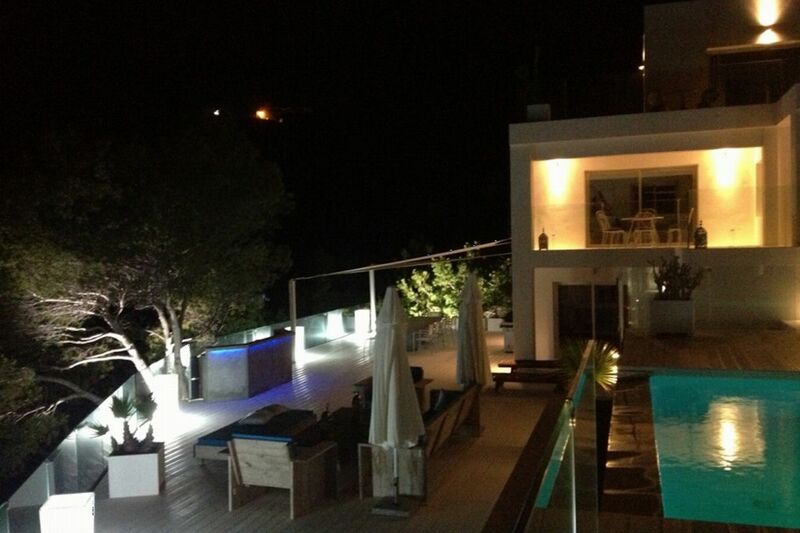 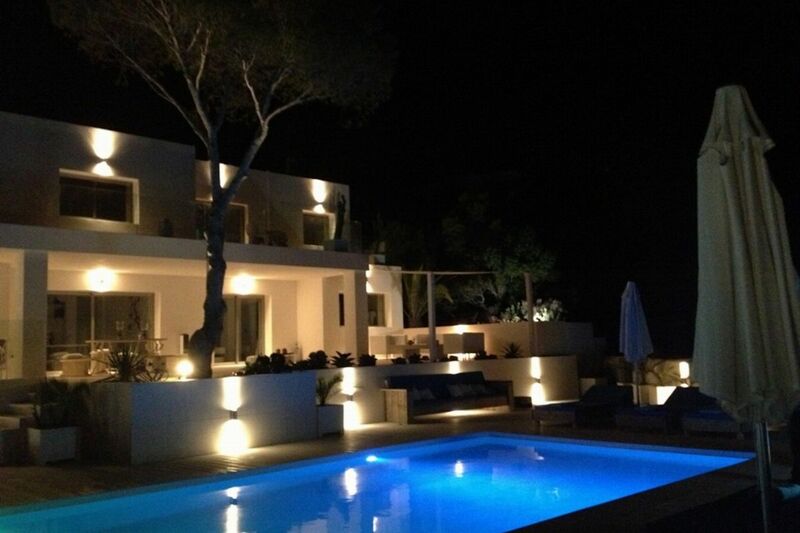 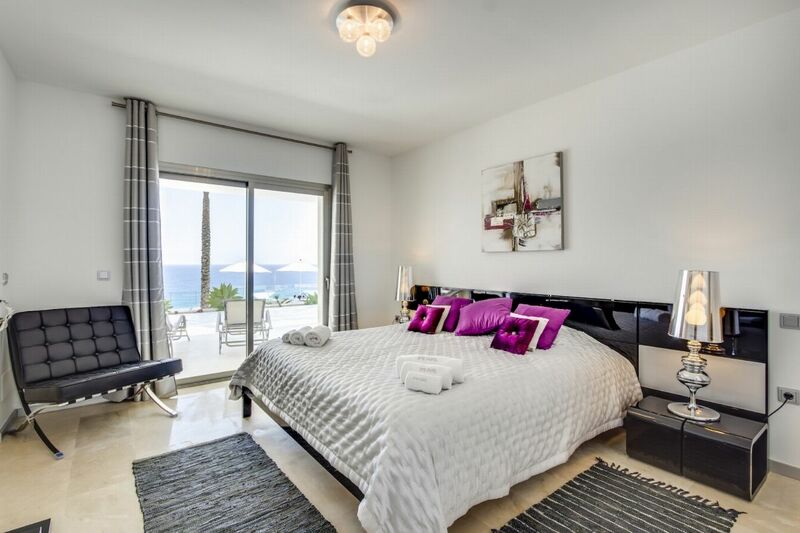 There are TVs in every room as well as air conditioning, and there is access to WiFi in all rooms and on the terraces. 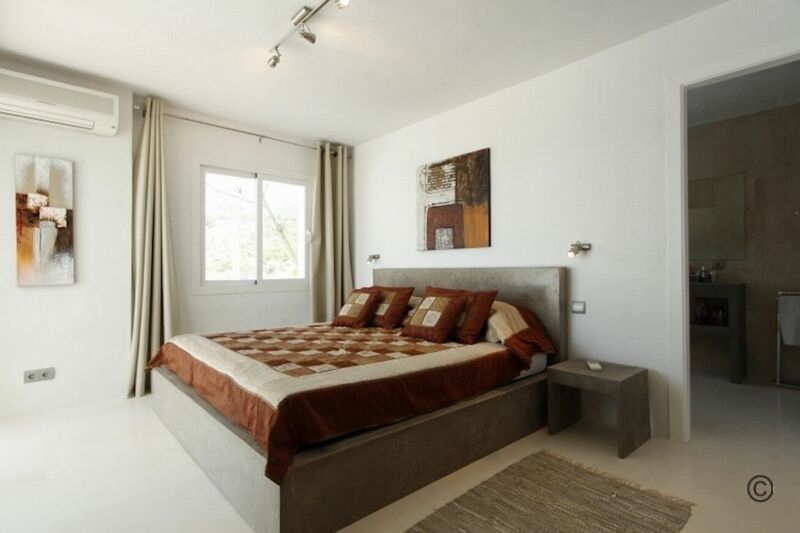 For added security the property has an alarm and video surveillance system. 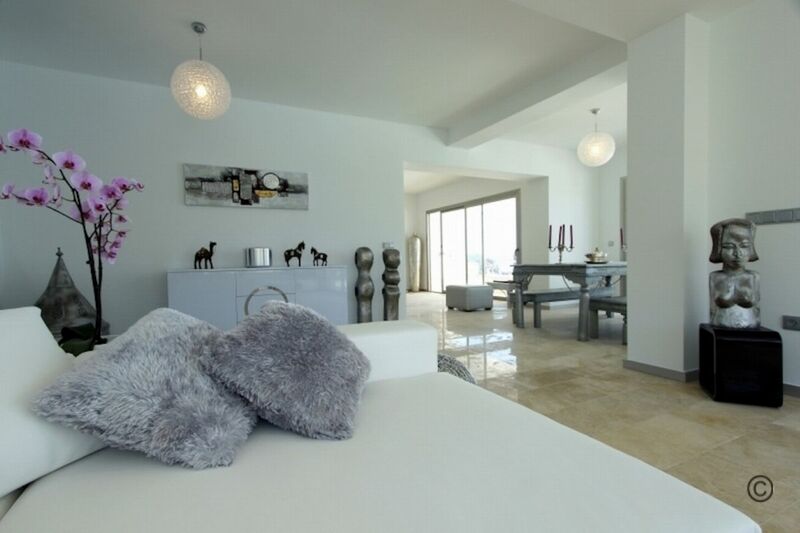 Luxuriously furnished double bedroom, with en-suite bathroom, air conditioning, plenty of storage space, magnificent views and Jacuzzi. 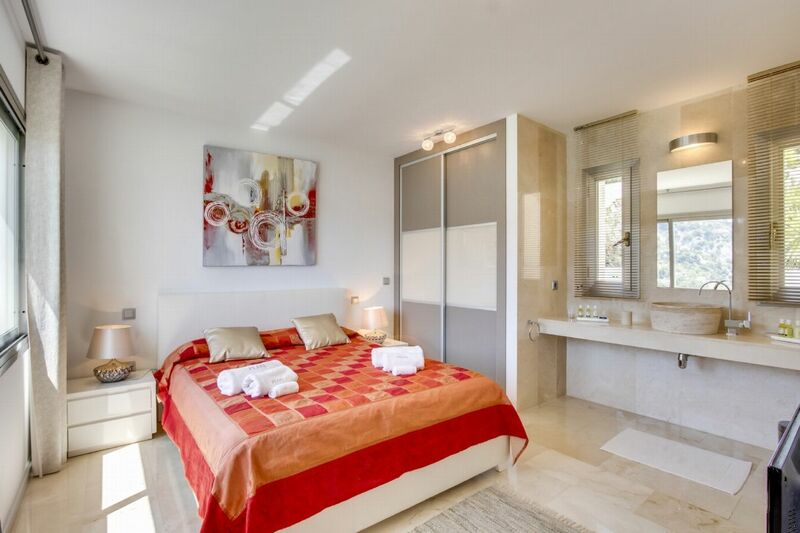 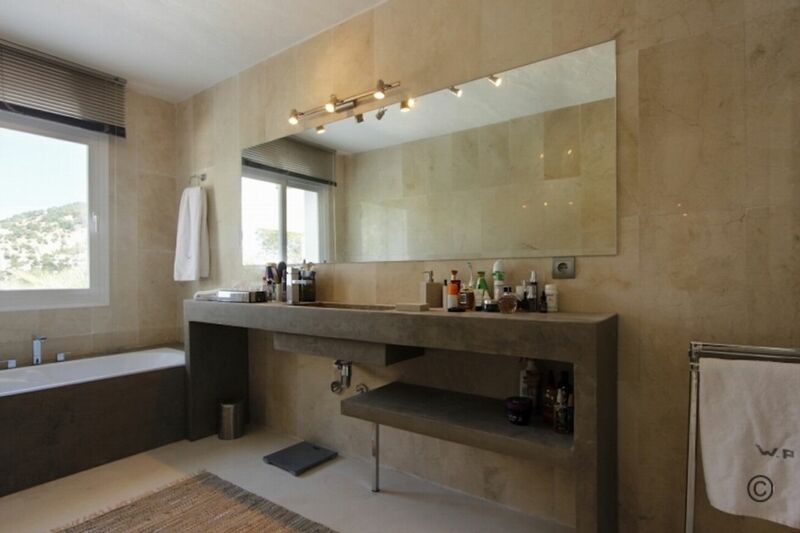 Luxuriously furnished double bedroom with en-suite bathroom, air conditioning, plenty of storage space, magnificent views.